September 4, 2015 -- (MILLS RIVER, NC) -- When making home upgrades, make style a priority. There are many easy ways to add beauty to your home in the most unlikely spaces. Start my considering the bathroom. Performance and aesthetics can intersect when making bathroom changes. Upgrade water-hogging appliances with modern, efficient models that are stylish and easily maintained. These choices can save you money on water bills and time on cleaning day. Some designs, such as the Cascade high efficiency toilet (HET) from "http://www.mansfieldplumbing.com/">Mansfield Plumbing, even promote health. Its rimless design eliminates the germs and bacteria that hide in difficult-to-access areas. Both the round front bowl and elongated SmartHeight bowl design are approved to meet EPA standards for water efficiency, using just 1.28 gallons per flush -- a savings of 20 percent more water than older models. If you have young children at home, consider adding a stylish Elementary juvenile toilet to a bathroom. Less than a foot high, the child-sized toilet makes potty training much more fun and successful. - Surround your foyer entryway with pilasters and a crosshead. While you're at it, surround room dividers with pilasters and a crosshead to make transitioning between rooms a unique experience. - Add a two-piece ceiling medallion around the top of a light fixture or ceiling fan in less than 10 minutes. Interlocking pieces snap together quickly. - For a bathroom upgrade, install moisture-resistant pilasters on both sides of your shower stall and a door crosshead overhead. - Give tops of bathroom and kitchen cabinets style with corbels. Accent a boring kitchen island with decorative brackets or corbels. - Add a large sunburst window pediment half round above a bed to serve as a decorative headboard. Even your most utilitarian spaces deserve a style makeover. And windows are a good place to start. Whether your home is modern, contemporary or traditional, say goodbye to plain panes and consider something more interesting and elegant. 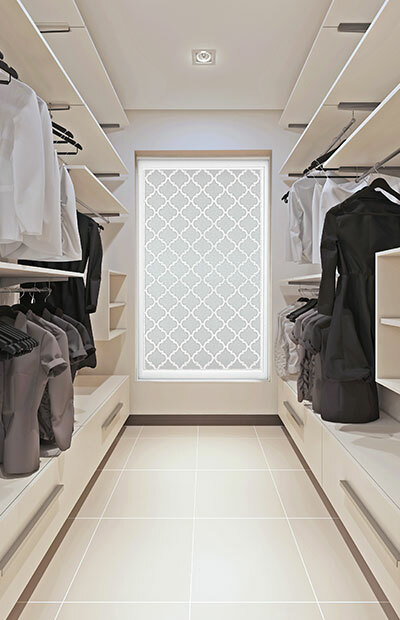 Acrylic block, glass block or decorative glass windows in any room -- even a closet -- add privacy and light. And brands like Hy-Lite offer vinyl-framed decorative glass windows with silk screened or wrought iron designs. Their Home Designer Collection features a range of styles, including Baroque, Prairie, Mission and Metro, to complement any home. Tired of slinking down into your tub so that neighbors can't see you? Replacing your standard bathroom windows with privacy windows (including those that open to allow in fresh air) can make your bathing experience more enjoyable --- and private. Make a house a home with projects that improve the look and performance of interior spaces.